The 2019 Ford Edge is Full of Things We Love: New and Old! 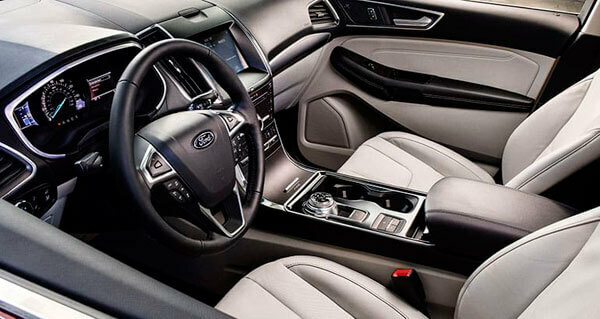 There’s no doubt that the Ford Edge is a crowd favorite and an integral part of the Ford vehicle lineup. It has everything you could ever want in a midsize SUV – style, comfort and safety. If you can even imagine it, the 2019 Ford Edge is full of even more of the stuff we love, and also has a whole new trim level for us to be excited about! You can expect some awesome style upgrades, more of our favorite technology, and an excellent new variety of standard safety features. You’re going to love it! F irst and foremost, let’s talk about the all-new trim line making its debut to the Ford Edge family. 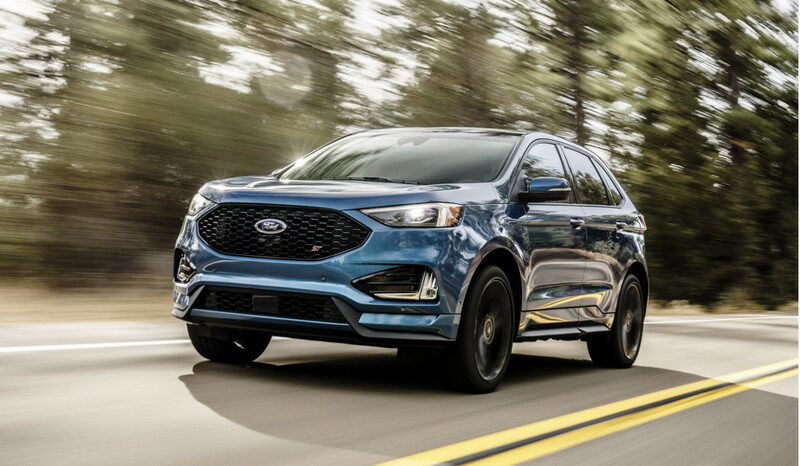 The 2019 Edge ST is powerful and sharp, boasting a projected 335 hp and 380 lb-ft of torque along with a finely tuned eight speed transmission. You’ll also find a 2.7L V6 EcoBoost engine and all-wheel drive, a sport-tuned suspension and race-inspired paddle shifters. Throw in leather-trimmed seats, an eye catching new grille and a prominent ST logo and you have a Ford Edge like you’ve never seen before. We have a feeling it will be here to stay. Particularly special about the 2019 Ford Edge is that it’s the first SUV to include Ford Co-Pilot360, a suite of standard driver-assist technologies. This includes Automatic Emergency Braking with Pedestrian Detection, Blind Spot Information System with cross-traffic alert, Lane-Keeping System, rear view camera and auto high beam headlamps. Of course, there are a whole lot more available features that you can add on to the vehicle you choose. Safety is the most important part of everything and Ford is certainly driving that home. A lot of awesome colors to choose from, lots of great technology and the best safety features you could ask for, the 2019 Ford Edge will get you where you need to safely, quickly and efficiently. You can find it at Lester Glenn Ford located at 900 Route 35, Ocean Township, NJ 07712. We’ll be here when you’re ready! It’s Time to Go to Vegas…and We’re Getting You There!